Snow clearing equipment supplied by Snow Shovels UK, we offer a large range of shovels and ice breakers designed to clear snow from driveways, paths, walkways, pavements and other critical areas following heavy snowfall. All snow clearing equipment supplied is manual for smaller areas and not designed for clearing large areas such as roads, airports, playing fields etc. We offer a comprehensive selection of different snow shovels and ice breakers to suit most people, including lightweight plastic and aluminium designs for children and ladies, larger metal and plastic designs including snow pushers designed for men and folding shovels designed for emergency use, ideal for keeping in a car or for climbers, walkers and fell rescue teams. All our snow clearing equipment is backed up by a comprehensive warranty, some items are warrantied for 5 years, we offer sets and packs of snow clearing equipment to make selection easy and provide great value for money. We also offer free shipping on second items ordered, i.e. order 2 snow shovels and pay just one delivery charge, order up to 2 ice breakers and a shovel (a complete snow clearing equipment set) and pay just one shipping charge. Snow Shovels UK are specialist suppliers of grit bins, three sizes are available, designed to store grit for when required our Flexibin Mini provides 30 litres of storage for domestic use, larger grit bins include our Flexibin 200 and Flexibin 350 with 200 and 350 litres of storage, stackable design for easy storage when not in use and fork lift channels to make moving a full grit bin to its desired location easy. All shovels, ice breakers and snow clearing equipment sets are shipped in sturdy cardboard cartons specially designed to ensure your snow clearing equipment arrives safe and sound by courier to your door. As far as we are aware, we are the only specialist snow clearing equipment suppliers, many companies supply a few items as a seasonal "add in product". These companies are not specialists and often sell out at peak times, Snow shovels UK specialise in the supply of snow shovels, ice breakers, ice scrapers and snow clearing equipment and hold vast stocks of products here in the UK for immediate dispatch. 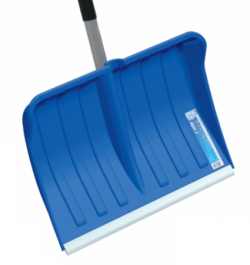 In addition to the retail supply of snow clearing equipment, Snow shovels UK also specialise in fun snow products such as sledges, toboggans, car ice scrapers, folding (easy to store) emergency snow shovels and the wholesale supply of all the above items.